It's been a crazy month for South Sea Arts. 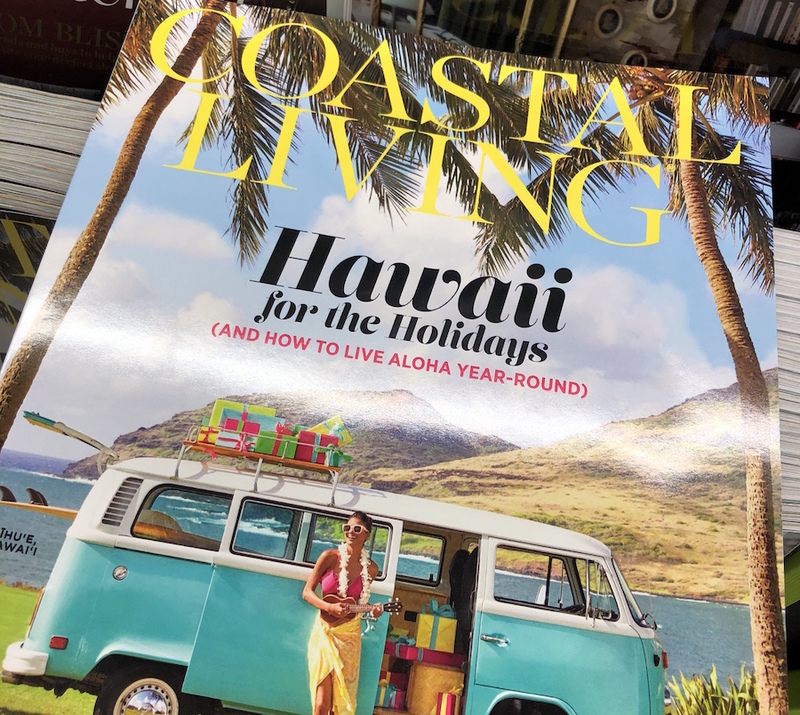 In case you haven't picked up a December copy of Coastal Living magazine we suggest you do so before they fly off the shelves (the magazine has a 3.9 million readership!). What's the fuss? 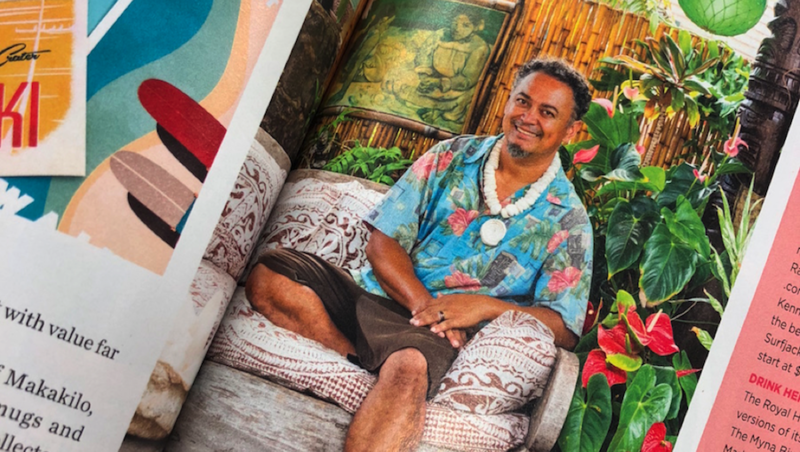 Well, because inside of their Hawaii for the Holidays issue, you'll find South Sea Arts' very own Mike Souriolle (aka Gecko). 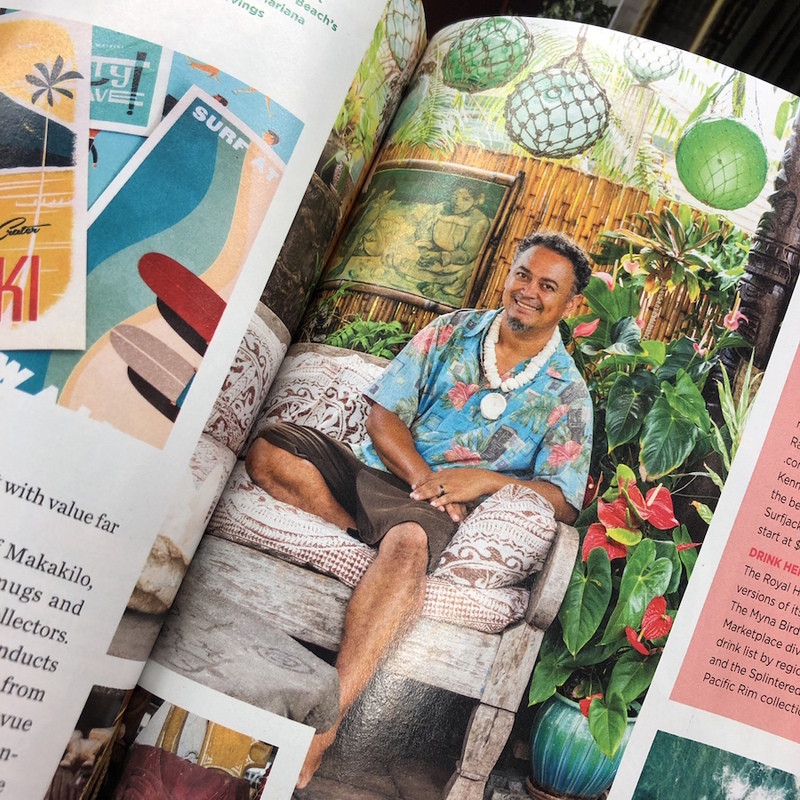 In featuring local Hawaiian artists, Coastal Living paid a visit to Makakilo's favorite son to talk tiki and snap a few pics in the process. 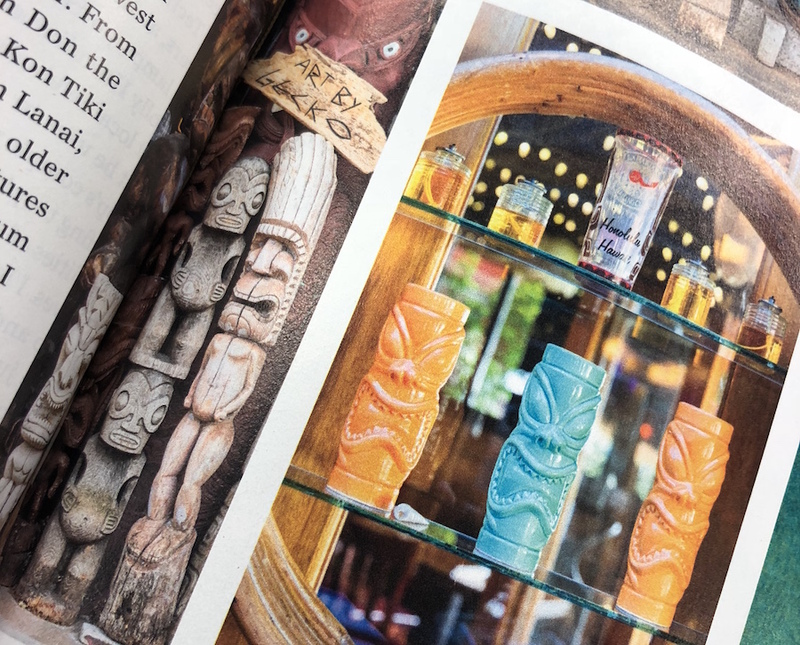 Below is a sneak peak at the issue, but we won't give it all away here so just stop by your local Barnes & Noble magazine section and have a look. But the big news doesn't stop there. 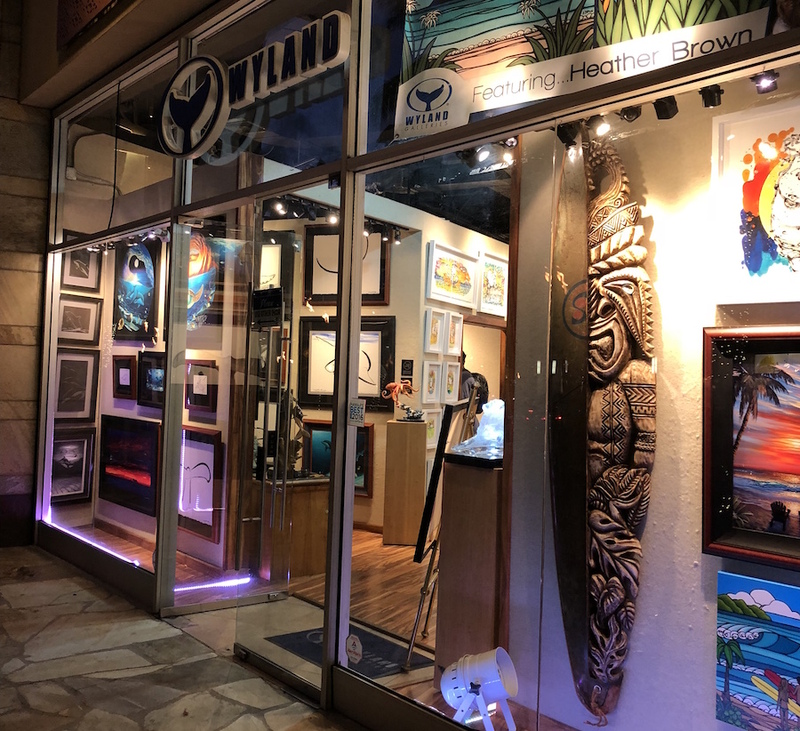 Soon after the magazine hit the shelves South Sea Arts work would find its way into world famous Wayland Galleries in Waikiki. Yes, that Wayland Galleries. 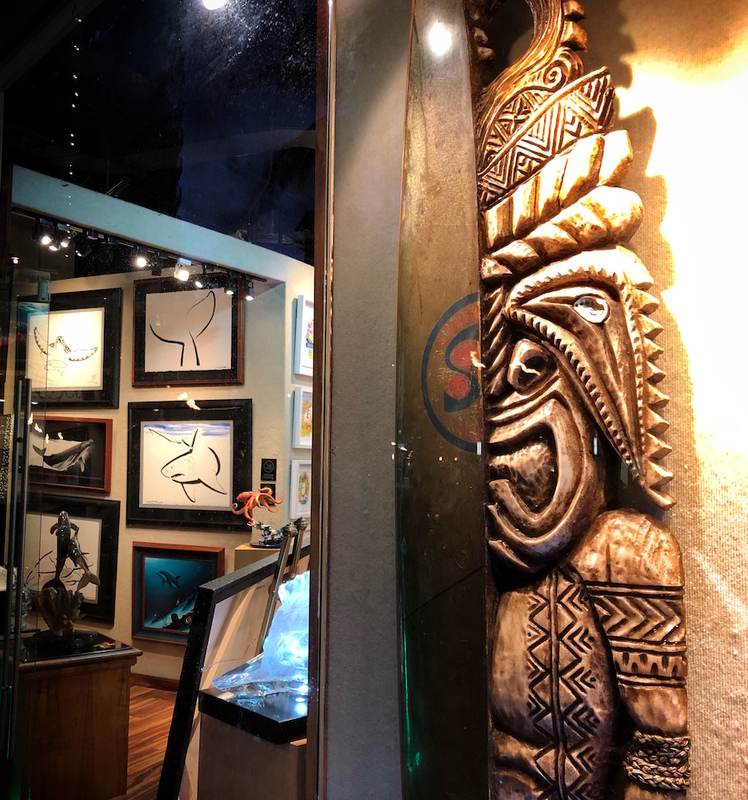 In a special Thanksgiving weekend exhibition, Gecko'z surfboard carvings were placed up front and center for all on Lewers Street to see. From the moment the boards were hung with care in the window and gallery, onlookers popped in to admire the art and learn more. 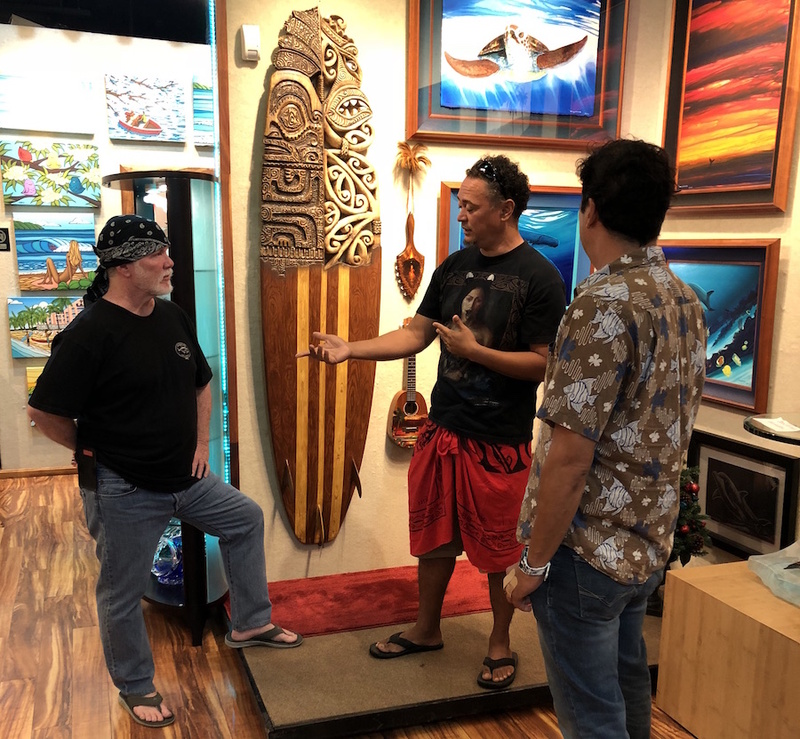 Anyone who happened to stop by on Saturday November 25th around 9 PM got to speak with Gecko in-person as he made a surprise visit to the gallery to talk shop and story. Below are a few pics from that late evening. Stay tuned for more news and updates from South Sea Arts. 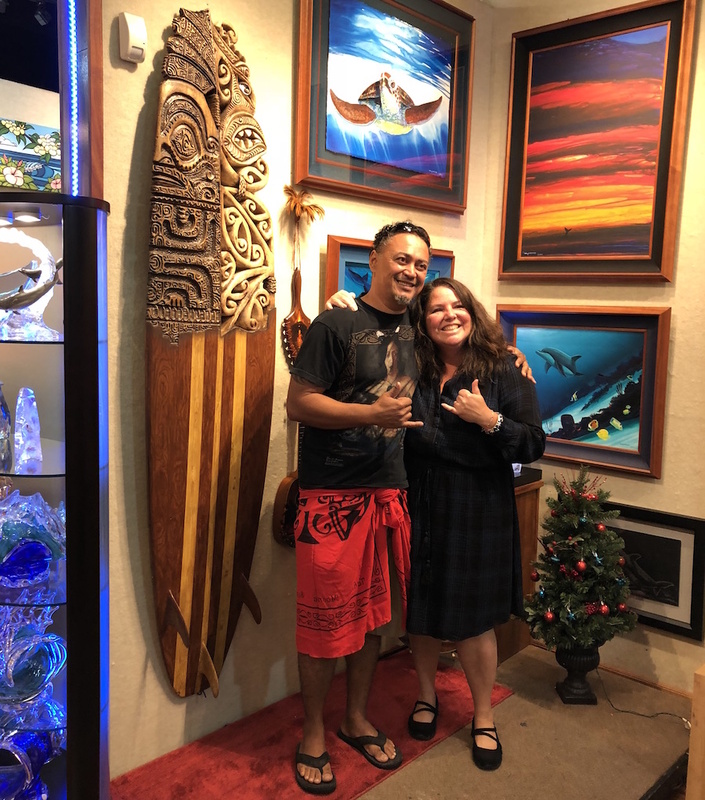 For all media inquiries and questions regarding commission requests contact Gecko at (808) 277-3048 or email DAKAI1995@aol.com.